The Nazi Officer’s Wife: How One Jewish Woman Survived the Holocaust, by Edith Hahn Beer with Susan Dworkin, is one story you will not be about to put down…But don’t pick it up at all if you want something sweet and romantic and warm and fuzzy. Because this is not that kind of story. Edith Hahn was raised by Jewish parents, but raised as a pretty typical Austrian girl. Her parents had high hopes for her future, and she was encouraged to go to college and planned to one day be a lawyer. In her final stretch of school, unfortunately, the worst thing imaginable happened….The Holocaust began. Jewish citizens began to lose their basic human rights and even personal possessions. They were treated like lesser beings. They were denied jobs, education, even communication with the outside world. Jews started to disappear, running away to friendly neighboring countries, going into hiding, forced into labor, imprisoned, killed in random acts of violence. Edith’s world was getting smaller every day. Her father passed away, her sister left the country, and her mother and a scattering of relatives was all that remained of the life she used to live. One day she and her mother are separated. She begs Nazi officers to spare her mother as they are being hauled off to do mandatory labor out on a farm…And she never sees her mother again. When Edith is finally done with her labor, she is released and only wants to see her mother again. But her mother is gone and she is no longer welcome in the homes of her old German friends. She is too dangerous to have around. She is homeless, nameless, destitute…She must work the system and deceive everyone into believing that she isn’t Jewish…And what better way to cover her tracks than to marry a Nazi officer? 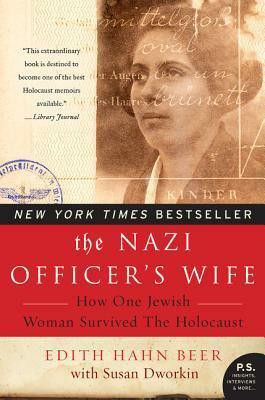 The Nazi Officer’s Wife is the most powerful story I’ve read this year, putting it squarely into a spot on my Best of 2015 List. The horrors of the holocaust, the inhumanity, the strength of one woman who had nothing and still survived. She risked everything and nearly sold her own soul to stay alive and persevere. The story is that of Edith Hahn Beer, but it was made into a novel by Susan Dworkin. 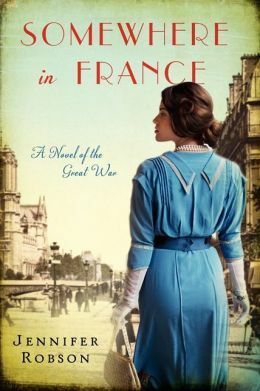 If you want literature that moves you, pulls your heartstrings, makes you angry, makes you feel desperate for the character to survive, then The Nazi Officer’s Wife is for you. I stayed up much too late at night reading this one….And if you can make it all the way through, I can guarantee you will lose some sleep, too. 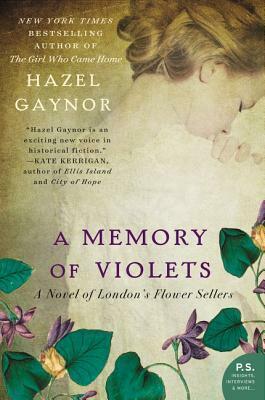 A Memory of Violets, by Hazel Gaynor, is definitely making it onto my top 10 books for 2015. Anyone who knows me is aware that I have a penchant for long, descriptive stories full of mystery and family secrets. Kate Morton and Katherine Webb are my favorite authors of all time. Who didn’t love The Thorn Birds, by Colleen McCullough? I was surprised when Hazel Gaynor’s latest novel sucked me in, right away, and I had a feeling right from the beginning that I was in for a ride. A Memory of Violets is about two girls born into poverty in the 1800s, into a life of selling flowers on street corners. Flora and Rosie barely have food to live on, but they have one another. One horrific day they are separated in a crowd and the never see one another again. Flora spends the rest of her days looking for her baby sister-and Rosie, too young to know how to get back home, must adapt to a new life. 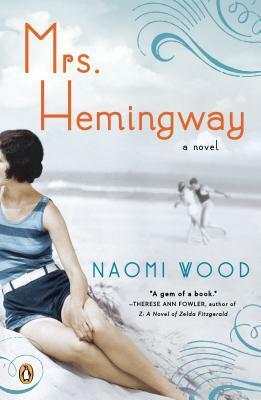 Years later, Tilly Harper finds the journal of Flora when she starts a job at Mr. Shaw’s Training Homes for Watercress and Flower Girls-and she feels compelled to find out just what happened to Flora, and what happened to her lost baby sister Rosie. If you read The Painted Girls, by Cathy Marie Buchanan, or Orphan Train, by Christina Baker Kline, or you have a taste for novels that tear brutally at your heartstrings but come together in the end with perfect closure and new beginnings for much-loved characters, you won’t want to miss A Memory of Violets, by Hazel Gaynor. This reviewer couldn’t put it down. Originally entitled “Der Gerschmack von Apfelkernen”, this novel has been translated into English from German, and has already been a literary success in Europe, translated into numerous languages and made into a German film (which I’m dying to get my hands on). The story revolves around Iris, a woman who inherits her grandmother’s home upon her death and is forced to face some of the secrets of her family and her past. Her grandparents both had deep, dark secrets hidden in the walls that don’t tell tales. Tragedy struck more than once in the little home, more than one daughter was lost. Iris decides to speak with the man who has been tending the home, and with the lawyer representing the property (who is conveniently handsome) and see if she can put together the pieces left behind for her. 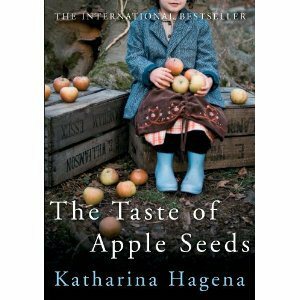 The Taste of Appleseeds, by Katharina Hagena, is a must-read for readers who love Kate Morton (The Forgotten Garden, The Distant Hours, The Secret Keeper, the House at Riverton) , Katherine Webb (The Unseen, The Half-Forgotten Song) , or Kimberley Freeman (Wildflower Hill, Lighthouse Bay, Ember Island). What makes the novel original is that it has a touch of magical realism, faint but there nonetheless, which gives the story something special that you magical realism readers will love too. Anyone who knows me well enough to judge can tell you that these types of novels are my very favorite. Long, delving back through generations, deep and dark family secrets, beautiful description and an almost magical feel, and a heroine who is determined to get to the bottom of the mystery at any cost…LOVE them. They aren’t for readers who want instant gratification or a short weekend read, but for patient readers who like to take a more languid path once in a while. If this sounds like you, then don’t hesitate to read The Taste of Appleseeds…And if any of you can figure out how to get any version of the movie available here in the states be sure to let me know! Dinah is the daughter of the Biblical Jacob, his only daughter in a passel of 13 children by 4 different wives. She is briefly mentioned in the Bible, part of a story about a young lady who falls in love with a a nobleman and falls into his bed before they are married, and whose father and brothers did something horrible in retaliation of her lost honor. The story of Dinah starts when she is a young girl, and ends when she is an old woman, and shares what it would have been like for a woman in biblical times, when women were treated like a commodity, traded and negotiated for like livestock, and expected to be fruitful with healthy sons. Surprisingly, however, this novel is empowering for women. Despite the conditions, these women were strong and worked together with unbelievable loyalty and solidarity. The wives had unbreakable bonds, and the Red Tent, where a woman was expected to pass her monthly courses, became a place where a woman could just be a woman among friends. Plans were made, advice was passed around, compassion was doled out. Possibly the most important lesson of this novel is that the relationships between women are remarkable, beautiful and unbreakable. I wasn’t sure what to expect when I started this novel, but I heard it was really good and I have always been interested in biblical mythology and history. I was blown away by the strength of the women, through everything they were subjected to in the course of their lives. 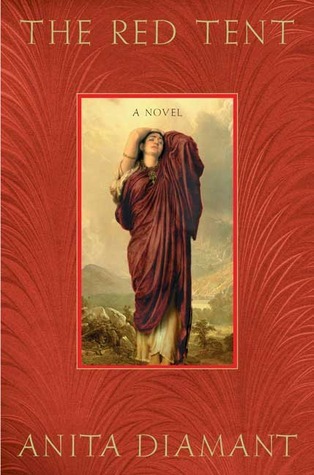 The Red Tent, by Anita Diamant, is a must-read. I promise. Cora Carlisle, by all appearances, is a married, church-going mother of two grown boys during the Prohibition. She believes in temperance, she believes in moderation, and she believes that a woman’s skirt should extend below the knees at all times. But Cora has her own secrets, and when she gets the chance to travel to New York with an aspiring dancer, the very beautiful fifteen year old Louise Brooks, the two of them will both walk away from the experience with very changed lives. Louise is impulsive, shamelessly flirtatious and very self-centered and bold. Cora is virtuous and reserved. The two women make quite the pair, especially when they leave Kansas and step into the bustling streets of New York city. Louise is desperate to find a way to stay out of Wichita, Kansas forever, and Cora wants to find out where she came from before she arrived in Kansas on an orphan train as a school-aged child. Temptation finds them both, much to Cora’s surprise, and she must make some very serious decisions about her virtues, her values, and her entire future when the trip ends. 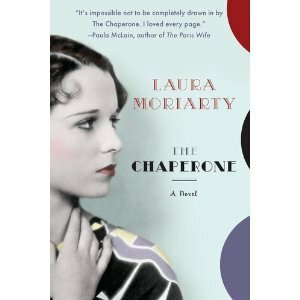 The Chaperone, by Laura Moriarty, sneaks up on you, at first you expect a story about two mismatched women staying together in the big city, and you aren’t sure how it could possibly be interesting…Then the depth of the characters, the traumas of their lives, the truths are revealed slowly and by the end of the novel, you can’t stop reading to find out how they will fare before the story ends. Definitely women’s fiction at it’s finest. A newly divorced art dealer has been commissioned to write a book about renowned artist Charles Aubrey, and he decides to travel to the town where the artist spent summers with his exotic mistress and two daughters, to see if he can find information that will set his book apart from all others. 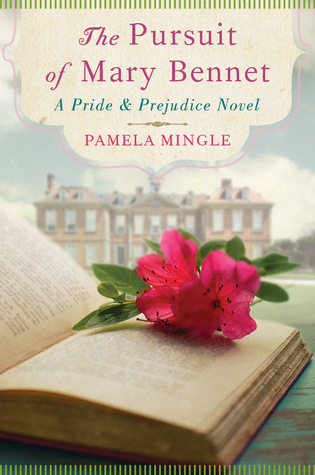 He finds Mitzy Hatcher, who claims to have been in a relationship with Charles Aubrey one summer before tragedy struck and he went off to fight in the war. The quaint little fishing village seems to be full of secrets, however, and the locals are less than welcoming towards outsiders, especially outsiders who ask a lot of very personal questions about long-standing residents. 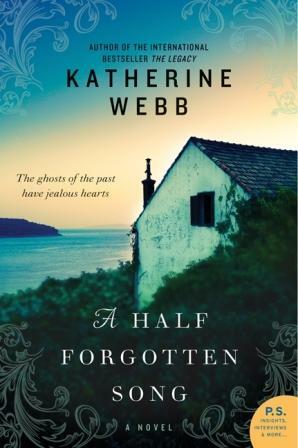 Traveling between the present and the past, lacing together the generations, A Half Forgotten Song, by Katherine Webb, is full of mystery and suspense, and just enough historical fiction to be perfection. If you loved The Unseen, by the same author, or you adore pretty much any of Kate Morton’s novels (The Distant Hours, The Forgotten Garden, The House at Riverton, The Secret Keeper), you will NOT want to miss this author or her works.